The time has come for Deputy Chief of Mission Teddy Poplinger to leave the Israeli embassy in Wellington and return home to Israel…but he told J-Wire: “I will return”. Teddy Poplinger [left] stands alongside ambassador Shemi Tzur as the bodies of three Israelis prepared for expatriation to Israel. Teddy Poplinger arrived in Wellington in 2010 following Israel’s decision to reopen an embassy it shut down because of budgetary cats. The diplomat, who is also the Consul, extended his stay in New Zealand to allow his 17-yr-old daughter Maya to finish her schooling. He told J-Wire: “My son Tomer is currently serving his military service in Israel and my daughter will enter the IDF in just under a year. J-Wire asked Poplinger if relations between Israel and New Zealand had improved following the low point they reached after the 2004 passports affair. But Poplinger was to learn that New Zealand was not going to be so quiet for him. He told J-Wire that to get to Christchurch he had to fly to Dunedin and drive the 361 kms to Christchurch. The earthquake claimed 185 lives three of them Israelis. Teddy Poplinger told J-Wire: “When I finally arrived I expected it to be a hive of activity but it was spookily quiet. No-one could have been prepared for it. 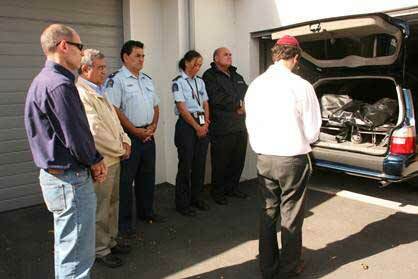 Israel sent eight police and a DVI disaster identification team. He said that rebuilding the embassy had been a satisfying challenge adding that he found living in New Zealand to have been to have been very enjoyable. He said: “We travelled all over New Zealand and the people are amazing and so is the quality of life. When asked how the people of New Zealand related to Israel Poplinger replied: “New Zealanders in general don’t know much about Israel. Teddy Poplinger said there was a small number of New Zealanders, mainly devout Christians who were very supportive of Israel. Once problem facing Israel’s goodwill with New Zealand is the emergence of teams of young Israelis selling Dead Sea cosmetic products snd paintings to the New Zealand public. Poplinger knows what it feels like. “I was sitting in my home in suburban Wellington when the Israelis knocked on my door and tries to sell me a painting! I told them I was Israeli, I told them I was the cons and I told them that I would be the one who would have to organise their release from prison if the continued to trade illegally.””. He said that the embassy “was not encouraging: these selling tactics and admitted “they are causing us a lot of problems”. 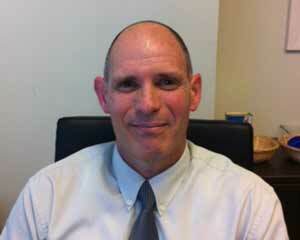 When Poplinger returns to Israel he will return to the finance department at the Ministry for Foreign Affairs. He told J-Wire: “My dream is to return in 15-20 years time with my wife Iris to Wellington…this time in the role of ambassador!. The Poplinger family will spend two weeks touring Australia before he returns home.